August 1, 2010 - Northwest Airlines LLC has agreed to plead guilty and to pay a $38 million criminal fine for its role, through Northwest Airlines Cargo, in a conspiracy to fix prices in the air transportation industry, the Department of Justice announced on Friday. According to a one-count felony charge filed today in U.S. District Court for the District of Columbia, Northwest Airlines Cargo, which is no longer in operation, engaged in a conspiracy to fix the cargo rates charged to customers in the United States and elsewhere for international air cargo shipments from at least July 2004 until at least February 2006. Under the plea agreement, which is subject to court approval, Northwest Airlines LLC has agreed to cooperate with the department?s ongoing antitrust investigation. Air cargo carriers transport a variety of cargo shipments, such as heavy equipment, perishable commodities and consumer goods, on scheduled international flights. During the time period covered by the felony charge, Northwest Airlines Cargo earned more than $80 million from its air cargo services between the United States and Japan. According to the charge, Northwest Airlines Cargo carried out the conspiracy by agreeing during meetings, conversations and communications on certain components of cargo rates for shipments on routes between the United States and Japan and by levying cargo rates in accordance with the agreements reached. 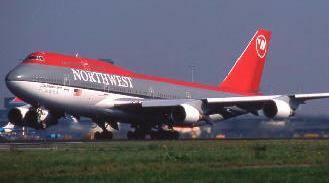 As a part of the conspiracy, Northwest Airlines Cargo monitored and enforced adherence to the agreed-upon rates. Northwest Airlines LLC is charged with price fixing in violation of the Sherman Act, which carries a maximum fine of $100 million for corporations. The maximum fine may be increased to twice the gain derived from the crime or twice the loss suffered by the victims of the crime, if either of those amounts is greater than the statutory maximum fine. Including today?s charge, as a result of this investigation, a total of 16 airlines have pleaded guilty or have agreed to plead guilty in the Justice Department?s ongoing investigation into price fixing in the air transportation industry. To date, more than $1.6 billion in criminal fines have been imposed and four executives have been sentenced to serve prison time. Charges are pending against a fifth executive. Airline executives who have pleaded guilty as a result of the investigation are Bruce McCaffrey of Qantas, Keith Packer of British Airways, Franciscus Johannes de Jong of Martinair and Timothy Pfeil of SAS. On Aug. 12, 2009, Jan Lillieborg, a citizen and resident of Sweden and former vice president of global sales for SAS Cargo, was indicted for participating in a conspiracy to suppress and eliminate competition by allocating customers and coordinating surcharge increases for international air shipments to and from the United States. Friday?s charge is the result of a joint investigation into the air transportation industry being conducted by the Antitrust Division?s National Criminal Enforcement Section, the FBI?s Washington Field Office, the Department of Transportation?s Office of Inspector General and the U.S. Postal Service?s Office of Inspector General.